Gray-S. Everett Trask, of 46 Ramsdell Road, Gray, Maine succumbed to failing health and made his final journey on June 15, 2018. He was born on July 13, 1929, in Sydney, Maine, to Mildred and Sumner Trask. Everett was the “fix-it-man”. If it was “broke” he could fix it – toaster, clock, car - anything. If it needed building, he could build it – house, camp, garage - anything. Everett always had a project going, right up to the end, when he had made two lawn machines operable yet again. Everett was always a hard worker. His first job was working on his grandfather’s farm. Later he went to work with his father for Maine Central Railroad. 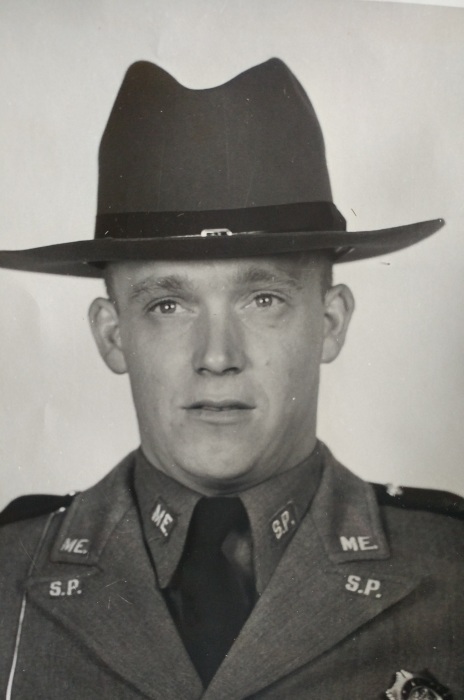 Everett spent a short time working for the Waterville fire department, then transferred to the Waterville Police department, where he chose to make a career of law enforcement, and then joined the Maine State Police in 1956. His career with the state police took him to several locations before his assignment to Troop C where he could patrol his home town area. Everett received a promotion to sergeant and was transferred to Troop B when it was headquartered in Scarborough. Everett retired from the State Police in 1976 and remained active in their retirement association for the remainder of his life. Following his State Police career retirement, Everett worked briefly for his friends at Copp Motors in Cumberland, before purchasing a Truck of his own and starting his own independent trucking company, R & E Transport. R&E Transport operated out of Gray Maine for 20 years, during which time it grew to a successful concern with 6-8 trucks, a fully equipped maintenance facility on site at 46 Ramsdell Rd. 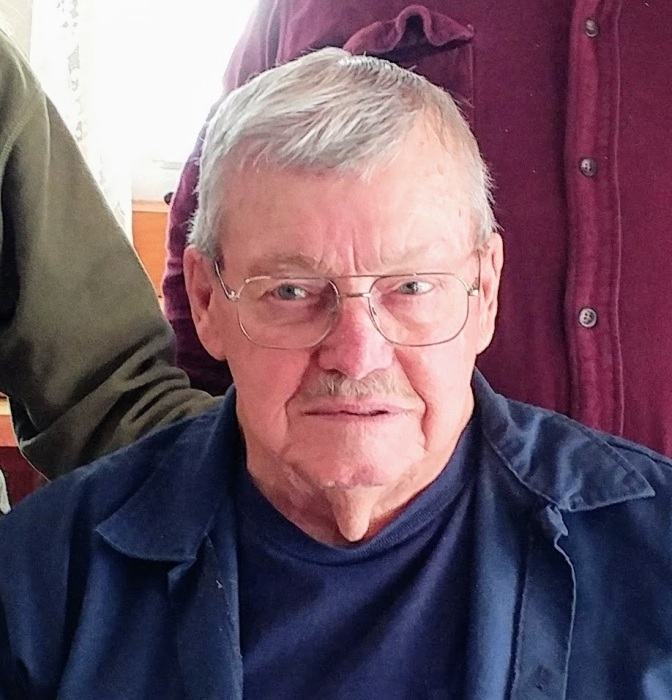 Everett was a lifelong sportsman who loved camping, fishing and especially hunting. It was his love of hunting that led to his long time best friend Keith Littlefield bringing him into a hunting fraternity known as the "Red Camp Association". This group leased an old logging camp in the North Maine Woods near St. Pamphile and traveled there annually, and later more often to enjoy hunting and other outdoor recreation. Everett loved being part of this group and formed close friendships with all the members. Everett was perhaps best known for his outstanding marksmanship and wry humor! Over time as his old friends passed along and a new generation came in, he recognized how important it would be for the group to continue. When the opportunity arose recently, Everett and his new best friend, Ed Thompson, purchased the Red Camp for the association to ensure its use for future generations. Everett married Rita (Courbron) Seeley in 1971, making Gray their permanent home. Everett is survived by a sister, Margorie Parker of Exeter, NH, Daughters, Sharon Young of Gray Maine and Cynthia Davidson of Belgrade Maine, and son David Trask of Skowhegan Maine, Step-daughter Susan Blake of New Gloucester Maine, and step-sons Michael Seeley of Auburn Maine, and David Paul Seeley of Canon Maine. His 14 grandchildren include: Melanie Blair, Melinda Gervais, James Davidson, Katrina Mitchell, Eric and Elizabeth Trask, Michelle Carson, Danielle Colello, Nicole Davis, Tina McCutcheon, Michael Seeley, Melissa Mclaughlin, Amanda Murray, and Chad Seeley. He is also survived by numerous great grandchildren, 5 nieces and nephews, and many great-nieces and great-nephews. Everett is also survived by his friend Ed Thompson, with whom he spent many enjoyable times. He was pre-deceased by his parents, Mildred (Stevens) Trask and Sumner Trask formerly of Belgrade Maine, first wife Dolores Cabana Trask, formerly of Belgrade Maine and Dracut Massachusetts, a daughter Gail Ann (Trask) Hudson PHD formerly of Portland Maine, and a long time special friend Keith Littlefield of New Gloucester. Everett may be visited at Wilsons Funeral Home, Shaker Road, Gray, Maine on Wednesday June 20, 2018 from 5:00-8:00.p.m. We will celebrate his life on earth and his eternal life’s journey with a service at 8:00pm.. He will be placed at his final resting place at Lower Gloucester Cemetery at a future date.